Last night, we had a “24” viewing party. 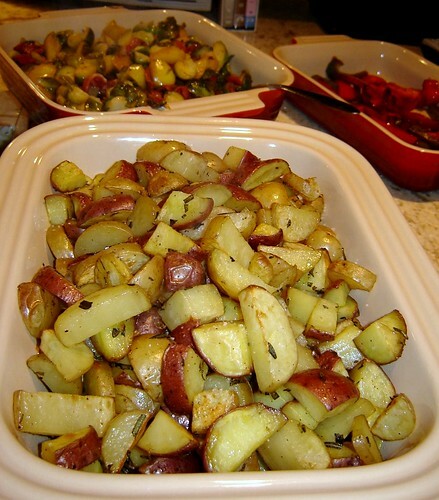 I made my go-to roasted potato recipe to go with our yummy roasted beef tenderloin sandwiches. 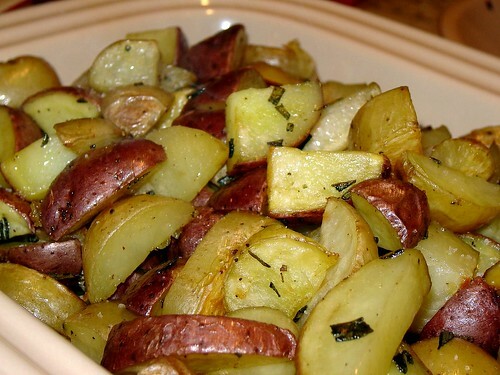 These potatoes are so flavorful and crispy, making them a great healthier alternative to french fries or loaded baked potatoes when you’re craving some carbs. Preheat oven to 400 degrees. Place potatoes in a large bowl. 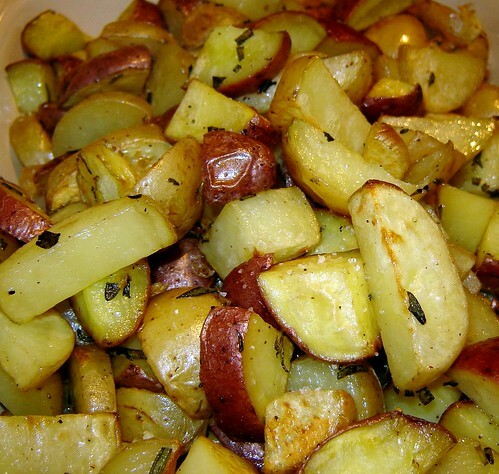 Pour olive oil over the potatoes and sprinkle seasoning on top. Toss together with your hands until potatoes are well-coated. 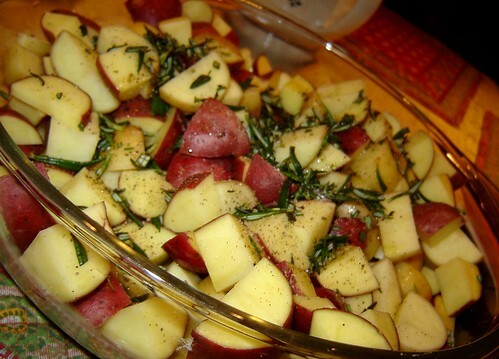 Dump your potatoes in a large roasting pan, spreading into one even layer. Bake for 30-45 minutes, or until fork tender. 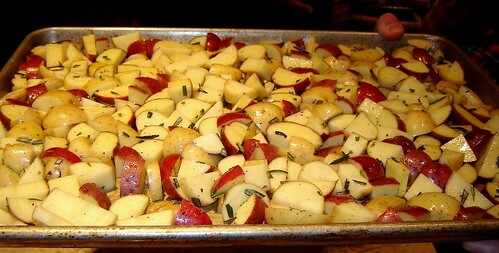 You may wish to toss the potatoes a couple of times during baking so that they cook evenly and don’t stick to the sheet. Broil for last 2-3 minutes for extra crispiness.